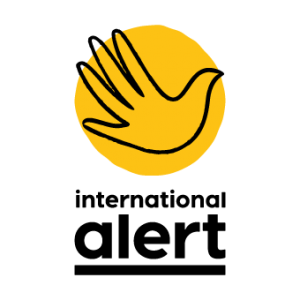 Click here for more information about training seminars organised in the framework of the Civil Society Dialogue Network project. Despite increased international pressure and action to prevent violent conflicts and mass atrocities after the shocks of Rwanda and Srebrenica in the 1990s, the number of armed conflicts has increased in recent years. Whilst the wars in Syria, South Sudan or Ukraine differ with respect to the actors, driving factors and dynamics, they all raise the question of how violence and its escalation could have been prevented. The renewed attention to conflict prevention thus comes as no surprise, not only to prevent human suffering but also in light of cost-benefit-calculations: investing in prevention is more sensible than post-conflict reconstruction. 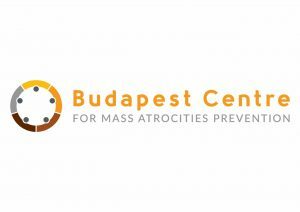 This course provides insights into the concept of conflict prevention and explores how it relates to issues such as the prevention of violent extremism and mass atrocities. Based on lessons learnt and best practices, it examines practical tools such as early warning and early response as well as methods for applying conflict prevention in your work context. a good command of English. Unfortunately, swisspeace cannot provide scholarships for this course. Participants (or their employer) must be able to cover the tuition fee. links Click here for more information. Designing for Impact is an intensive training programme designed for agencies, organisations and practitioners working in conflict, crisis and post-war stabilisation and recovery who wish to to improve the quality, effectiveness and sustainable impact of their programmes – including crisis management and prevention, peacebuilding, social, economic and political stabilisation, reconciliation in divided communities, and post-war recovery, rehabilitation and development. Drawing on more than 30 years of experience in over 40 countries, Designing for Impact represents the most advanced training programme of its kind for policymakers, practitioners, government officials and donors internationally. There is a gap between the scale of people’s efforts and investment, the huge number of programmes, activities and organisations in the field, and the impact this is all having on peacebuilding and sustainable post-war recovery and stabilisation. This programme has been designed to close that gap. It is practical and operational, designed for policy makers, donors and practitioners, and those dealing with the daily challenges of peacebuilding, development and recovery in areas affected by war and violence. Unlike almost every programme in the field today, it draws from across the entire breadth of operational experience, lessons learned and practical methodologies – doing so in a way that has been designed to enable agencies and organisations to go in-depth into their work and how they are doing it, coming out with better designs, better approaches, and with real effects. 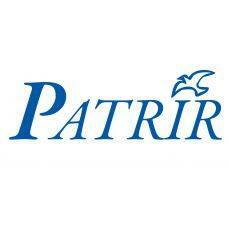 For further information or to apply, please send an email to training@patrir.ro. Human rights and conflict transformation are instrumental for achieving sustainable peace and development. Despite wide recognition that the fields of human rights, peacebuilding and development work in and on similar contexts, they are often perceived as distinct disciplines. This training seeks to go beyond this divide and aims at exploring how human rights and conflict transformation offer different types of insights to similar contexts, and exploring how they can complement one another both practically and conceptually. It also recognizes that certain challenges and dilemmas arise when linking human rights and conflict transformation, and considers strategies for addressing these. exchange experiences and become part of a community of practice. This course is designed for peacebuilding, development and humanitarian practitioners and academics interested in bridging concepts with practical knowledge, good practices and lessons learned from field-based linkages between human rights & conflict transformation. links Visit www.patrir.ro/training, or email training@patrir.ro. The goal of the Peace Mediation Course is for participants to deepen their understanding of peace mediation and acquire the skills, knowledge and attitudes to support mediation processes effectively. Moreover, it aims to enhance the exchange and networking between participants. The course focuses on peace mediation. A comprehensive approach to mediation is the basis of the course. Such an approach takes into account the different phases, relevant actors and topics of peace negotiations. Micro-skills: How does one deal with the nuts and bolts of negotiating and mediating? Process design: How does one design a peace process? Who participates in peace negotiations, and how should their diverse agendas be included? When is which third party best suited to play an effective role? How do you integrate topics in a mediation process? 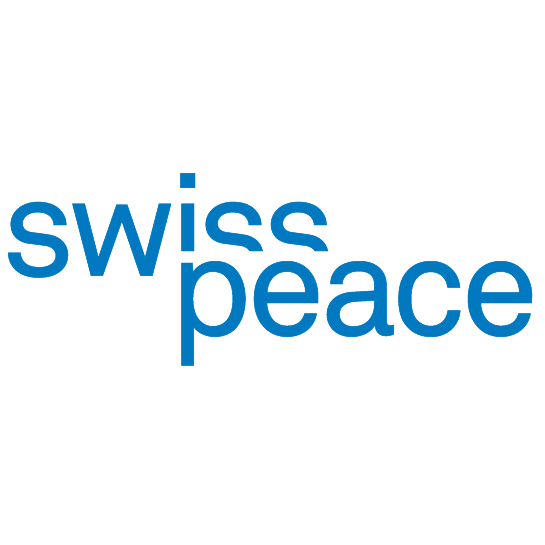 Participants must have sound skills, knowledge and experience in peace mediation, or several years of field experience related to peace processes. Priority will be given to participants who are, or will be, working in support of peace processes. Excellent command of English is required to follow the course. Participants are expected to have a high degree of motivation and commitment, to stay for the entire duration of the course, and to read the background material carefully. roster of measures, tools and approaches to making peacebuilding and prevention work effectively on the ground in participants own contexts. learn together with practitioners from multiple conflict contexts, agencies, and levels of operation and engagement. Staff of the International Peace and Development Training Centre (IPDTC) and PATRIR’s Department of Peace Operations provide tailored support to assist participants in enhancing in-depth knowledge applied skills and customized approaches relevant for their needs and contexts. The programme also assists review, development and strengthening of national and organizational strategies and early warning and prevention systems, tools and approaches. Draw upon leading practice and experiences from the field in applied peacebuilding, prevention and early warning from local, national and international organisations, governments and agencies. Identify critical lessons and challenges in peacebuilding and making early warning and prevention effective. Develop rigorous, operational knowledge relevant for participants’ exact needs and contexts. Develop a roster of measures, tools and approaches to making peacebuilding and prevention work effectively on the ground in participants’ contexts. Designing for Impact: Improving the Quality, Impact and Effectiveness of Peacebuilding & Development Programming is an intensive training programme designed for agencies, organisations and practitioners working in conflict, crisis and post-war stabilisation and recovery who wish to improve the quality, effectiveness and sustainable impact of their programmes – including crisis management and prevention, peacebuilding, social, economic and political stabilisation, reconciliation in divided communities, and postwar recovery, rehabilitation and development. Drawing on more than 30 years of experience in over 40 countries, Designing for Impact: Improving the Quality, Impact and Effectiveness of Peacebuilding & Development Programming represents the most advanced training programme of its kind for policymakers, practitioners, governments and donors internationally. There is a gap between the scale of people’s efforts and investment, the huge number of programmes, activities and organisations in the field, and the impact this is all having on peacebuilding and sustainable post-war recovery and stabilisation. This programme has been designed to close that gap. It is practical and operational, designed for policy makers, donors and practitioners, and those dealing with the daily challenges of peacebuilding, development and recovery in areas affected by war and violence. Unlike almost every programme in the field today, it draws from across the entire breadth of operational experience, lessons learned and practical methodologies – doing so in a way that has been designed to enable agencies and organisations to go in-depth into their work and how they are doing it, coming out with better designs, better approaches, and with real effects. Draw upon best practices and lessons learned in peacebuilding, development and post-war recovery programme development and implementation to improve planning and implementation. Develop improved skills for designing relevant and appropriate programme and engagement strategies and activities, including crisis management and prevention, peacebuilding, socioeconomic and political stabilization, reconciliation in divided communities, and post-war recovery, rehabilitation and development. Develop tools to assist your organization for short, medium and long-term engagements. Making Mediation & Peace Processes Work: Peacemaking in Deeply Divided Societies and Challenging Conflicts is a unique three-day Advanced Professional Training designed for governments, UN agencies and missions, and national and international organisations working with mediation, negotiations, dialogue processes (from community to national and inter-party levels), peacemaking, and peace processes. The programme is intended for expert mediators and parties to mediation and negotiation processes seeking to identify measures to strengthen and improve their processes. Facilitated by an expert practitioner, the programme will assist those involved in mediation and peacemaking efforts – before, during or postwar – to address key challenges and explore practical ways of improving the quality and results of their mediation and peacemaking processes. Carried out in cooperation with the Department of Peace Operations (DPO) of PATRIR, the programme is also designed to actively assist mediation and peace processes. Technical Assistance is provided to ensure customized support for participating experts, representatives and organisations and agencies. In several cases, both / multiple mediation parties and mediators have taken part in the programme to assist them by providing a space to step out from their normal contexts and to go indepth, in a facilitated process, into improving their meditation and peacemaking skills, methods and approaches. Work with leading practitioners, government and conflict party leadership involved in mediation processes in complex environments from around the world. Enhance understanding, coordination and coherence in peacemak-ing in the field and between policy and practice. Addressing both top-level formal and informal negotiations, mediation and peace processes the program will also explore how processes can be made more effective by linking with other tracks and the work that can be done by civil society actors, donors, international agencies, national parliaments, analysts, media and other to support mediation processes and create an enabling environment for transition and resolution. Designing and Implementing Effective Monitoring and Evaluation for Development, Peacebuilding & Humanitarian Operations a three-day Executive Leadership Programme designed for senior practitioners, monitoring & evaluation units, field staff, and heads of agencies working in peacebuilding and peace support operations – including crisis management; violence prevention; mediation, peacemaking and peace processes during armed conflict; peacebuilding and development; post-war recovery and reconciliation; UN missions; and demobilization, disarmament and reintegration programmes. The programme has been designed to assist organisations, agencies and missions in the field to see how to develop appropriate monitoring & evaluation systems and processes customized for their exact needs and contexts. The programme focuses on improving practical and applied skills and tools for those working in the field. In 3 days participants work together with other leading practitioners and agencies from around the world, rigorously review and evaluate their own programmes and strengths and challenges of peacebuilding in their contexts, and are exposed to a range of rigorous and effective methodologies, tools and case studies which they can apply in their work. We select participants based upon their work and then take them through a customized methodology to assist them in improving the design, development, implementation, monitoring and evaluation of their programmes. Participants – from governments, UN agencies, the Commonwealth Secretariat, and local, national and international organizations – have reviewed IPDTC’s London line of Advanced Professional Trainings as amongst the best of their kind in the world. Provide a dynamic, safe environment using a confidentiality rule to enable participants and their organizations/agencies to address key issues and challenges they face in their work. Provide effective tools which can be used by participants and their organizations in developing baselines, indicators, types of change, and monitoring and evaluation frameworks. Explore best practices and lessons learned in applied monitoring and evaluation from peacebuilding and conflict transformation programmes and national and international organizations, together with senior staff and practitioners from around the world. The world we live in undergoes vast global and social changes! Emerging new challenges and needs, such as the integration of refugees and immigrants, debates on human rights, and gender-related power struggles all call for creative alternative practices and frameworks that allow personal and collective narratives to enter our conversations, working-, learning- and living spaces! In the light of #metoo and #whyididntreport this Master Class examines how theory can be translated into practice and how various dilemmas pertaining to people navigating a changing world can be successfully adressed in the peace- and development work. Thus, this Master Class focuses on practices of emancipatory critical pedagogy in armed conflicts and in post conflict situations, in relation to methods that promote sustainable peace and human rights advocacy around experiences, questions and concerns related to gender. Furthermore, emerging new challenges and needs, such as the integration of refugees and immigrants, debates on human rights, and gender-related power struggles all call for creative alternative practices and frameworks that allow personal and collective narratives to enter our conversations, working-, learning- and living spaces! Trainer Dr. Gal Harmat holds a PhD in Gender Analysis of Peace Education and Dialogue encounters from Nitra University (Slovakia) and a M.A. in Gender and Peacebuilding from the UN-Mandated University for Peace in Costa Rica. She is the head of the Gender and Peacebuilding Programme, Dept. of Peace and Conflict Studies at the UN University for Peace and professor in conflict transformation, peace education and gender and Co-Director of the Social Justice and Peace Education Teachers Training Program, Kibbutzim Teachers College in Tel Aviv, Israel. She has also been teaching in the World Peace Academy (University of Basel), the European Peace University (Austria), and the Arts and Social Change College in Israel. As a Gender and Peacebuilding Specialist, she has extensive experience in training, conflict analysis, dialogue facilitation, capacity building, peace education, research, gender empowerment and gender mainstreaming since 1998 in various countries in Eastern Europe, Africa, and West and South East Asia. Her consultancies include intergovernmental organizations (e.g. OSCE, UN Women, UNDP, and the Council of Europe), and various international and regional NGOs (e.g. Non-violent Peace Force, Friends of the Earth Middle East; Peres Centre for Peace).